When will be Dumb and Dumber next episode air date? Is Dumb and Dumber renewed or cancelled? Where to countdown Dumb and Dumber air dates? Is Dumb and Dumber worth watching? 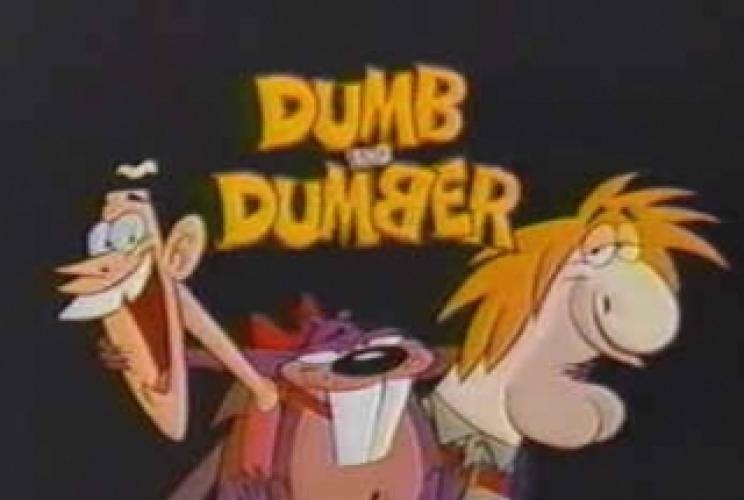 Dumb and Dumber is a Hanna-Barbera-produced animated series based on the 1994 comedy film of the same name. The animated series premiered in 1995 on ABC.The cartoon revolves around the continued misadventures of Lloyd and Harry after reacquiring their dogshaped van now named "Otto". It also features a new character, Kitty, a female pet purple beaver who appears to be smarter than both men. It is the final Hanna-Barbera-produced show to premiere on ABC (as well as the final Hanna-Barbera-produced show to air on broadcast network television) and one of the last Saturday morning cartoons on the network not associated with The Walt Disney Company. Dumb and Dumber next episode air date provides TVMaze for you. EpisoDate.com is your TV show guide to Countdown Dumb and Dumber Episode Air Dates and to stay in touch with Dumb and Dumber next episode Air Date and your others favorite TV Shows. Add the shows you like to a "Watchlist" and let the site take it from there.